The sculpture is of the Victorian Era which lasted from about 1832 until Queen Victoria’s death in 1903. The era was an eclectic period in the decorative arts with several styles—Gothic, Tudor, Neoclassical—vying for dominance. The period was marked by ornamentation. This was true in architecture, furniture, and funerary arts. 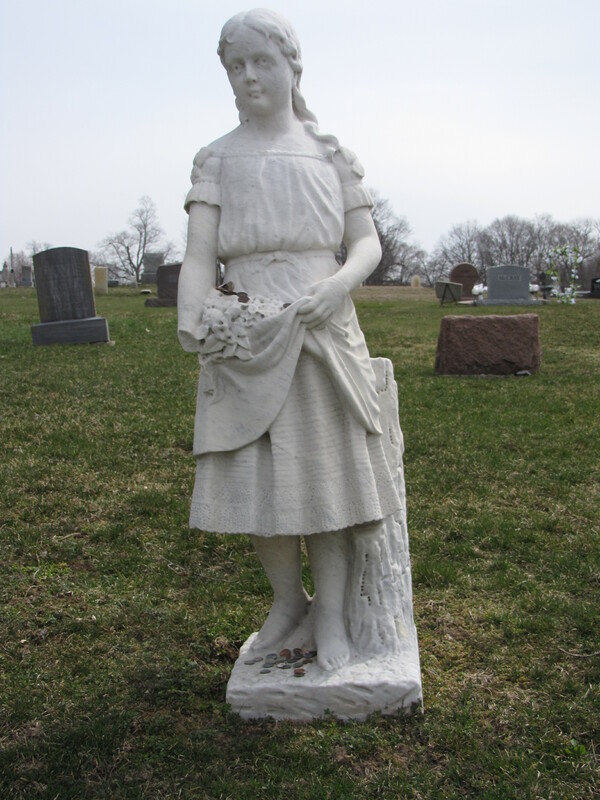 In cemeteries gravestones became taller, ornamented, and sentimental. 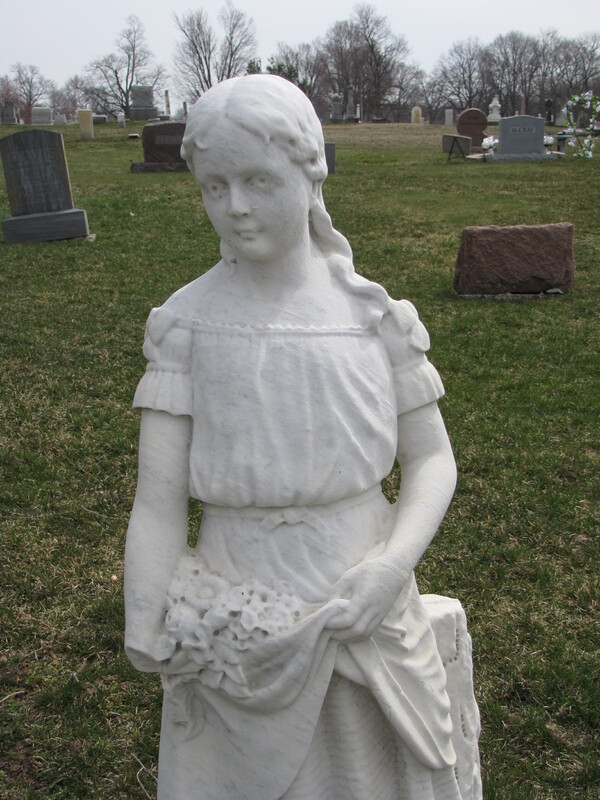 Children were often memorialized as life-size sculptures—dressed in their best finery. In Victorian times, flowers took on significance as a way to send coded messages; this was known as floriography from the Latin combining flora—“goddess of flowers” and graphein—“writing”. Each flower had a meaning that was conveyed to the viewer or receiver of the flower or bouquet of flowers—the lily of the valley represented humility, the coral rose represented desire and passion, the white lily represented purity, and so on. The sculpted girl is holding an apron full of flowers, unfortunately, weathered, and difficult to discern with certainty. Those clues to symbolic meaning are gone, too.